IBM used Capacitor Read Only Storage (CROS) and Transformer Read Only Storage (TROS) to store microcode for the smaller System/360 models, the 360/85 and the initial two models (370/155 and 370/165) of the S/370. On some models there was also a Writeable Control Store (WCS) for additional diagnostics and emulation support. 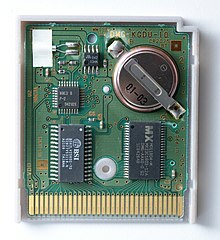 The most recent development is NAND flash, also invented at Toshiba. Its designers explicitly broke from past practice, stating plainly that "the aim of NAND Flash is to replace hard disks," rather than the traditional use of ROM as a form of non-volatile primary storage. As of 2007[update], NAND has partially achieved this goal by offering throughput comparable to hard disks, higher tolerance of physical shock, extreme miniaturization (in the form of USB flash drives and tiny microSD memory cards, for example), and much lower power consumption. Flash memory (or simply flash) is a modern type of EEPROM invented in 1984. Flash memory can be erased and rewritten faster than ordinary EEPROM, and newer designs feature very high endurance (exceeding 1,000,000 cycles). 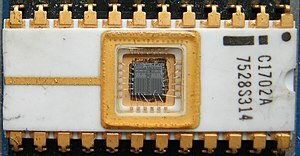 Modern NAND flash makes efficient use of silicon chip area, resulting in individual ICs with a capacity as high as 32 GB as of 2007[update]; this feature, along with its endurance and physical durability, has allowed NAND flash to replace magnetic in some applications (such as USB flash drives). Flash memory is sometimes called flash ROM or flash EEPROM when used as a replacement for older ROM types, but not in applications that take advantage of its ability to be modified quickly and frequently. Although the relative speed of RAM vs. ROM has varied over time, as of 2007[update] large RAM chips can be read faster than most ROMs. For this reason (and to allow uniform access), ROM content is sometimes copied to RAM or shadowed before its first use, and subsequently read from RAM. ^ See page 6 of Toshiba's 1993 NAND Flash Applications Design Guide Archived 2009-10-07 at the Wayback Machine. ^ "Memory Ic". transparentc. Archived from the original on 12 July 2016. Retrieved 22 July 2016.